The Synchroncity of Benny Green's New Trio on his latest "Source"
The jazz piano trio has traditionally been a wellspring for the creation of some expressive music over the years. Getting the perfect combination of band mates that can produce that illusive, magical something that can transcend time is sometimes like a chimera. Peter Washington and Kenny Washington for his Japanese tour. Despite having the same name these two unrelated musicians have a simpatico that transcends blood. 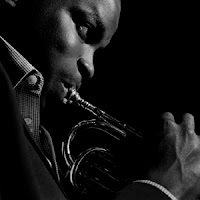 “Source” , is inspired by a litany of Green’s jazz heroes. 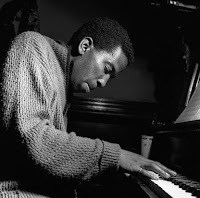 They include Sonny Clark, Carl Perkins, Dizzy Gillepsie, Donald Byrd, Kenny Drew, Bud Powell, Benny Golson, Duke Pearson, Mel Torme and Horace Silver. Despite the diversity of the source of the music, Green and company play it all with reverence, joy, virtuosity and heart. The result is one of the most enjoyable albums I have heard this year and a watershed for Green as a leader . From the opening notes of Sonny Clark’s “Blue Minor" you know your in for a treat. 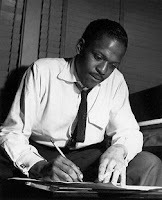 Green has the “goods” and he swings with the best of them, with a looseness of style that reminds me a little of the great Hampton Hawes. Prodded by Peter Washington’s elastically buoyant bass lines, Benny demonstrates some rapid tandem, two-handed runs that gush with imagination. This one is a delight. “ Way ‘Cross Town” , Green negotiates the start/stop lines of this little gem and intertwines the breaks with some cascading solo lines as the team Washington keep impeccable time. Drummer Kenny offers some tasteful brushwork in a nice interlude of subtle restraint. “I Waited for You”. The trio saunters on the beat as Green dances along the keyboard in a sophisticated display of sensitive lyricism. 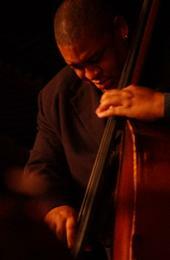 Peter Washington’s bass solo is deeply articulate and expressive. 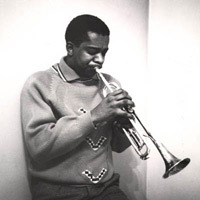 Trumpeter Donald Byrd’s “Little T” is a catchy vehicle to swing on and swing this trio does so well. Green is an effervescent pianist who digs deep into the marrow of a song to find different approaches to make it sing. The obvious love that that these guys have for this music is genuine. Witness the precise interaction and timely breaks, all part of a special intuition. “Cool Green”, a Kenny Drew composition, is a cool shuffle that allows Mr. Green to stretch out with some clipped, syncopated solo lines, followed by a series of beautifully executed rapid runs up and down the keyboard. Peter Washington offers his ever present, deceptively floating bass lines that hold it all together. When the bassists solos he swings with unerring time and expressiveness. 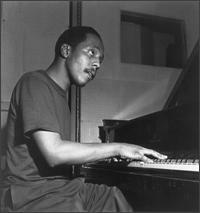 For those who love speed and virtuosity, Bud Powell’s “Tempus Fugit” is the piece de resistance. Green is a formidbile technician who flawlessly executes this most difficult composition with his own brand of blinding two handed speed and a certain sense of humor. One can almost hear the trio take a collective sigh of relief at the successful conclusion of this barnburner. “Park Avenue Petite” and kudos to the elder Mr. Green for this influence. Green is at one with the sentiment of this composition as his soulful, blues tinged solos attest beautifully. The rhythm section is in a tight groove allowing Mr. Green plenty of room for expression with subtle support. 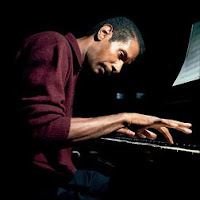 On Duke Pearson’s “Chant” we get a taste of the myriad of ideas that pop into Mr. Green’s head as he commits to his solo wanderings. While generally melodic he sometimes uses dashes of atonality to make a point. On Mel Torme’s “ Born to Be Blue” ,we get the feel that Mr. Green has spent many a night backing some real torch singers in his career. His phrasing is earnest and appropriately vocal-like as he states the melody. It’s during his solo that he explores the nuances of the song as he sees it. 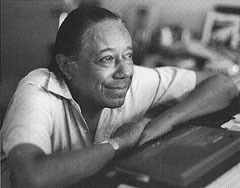 On Horace Silver’s classic “Opus de Funk” is the finale and we hear the Trio get back to the business of swinging. Green’s excitable playing is full of energy and kineticism. Peter Washington’s bass pushes the song along ultimately taking his own facile solo. Mr. Green leads us all over the map with his abundance of ideas. He has an energetic interchange with the drummer Kenny Washington trading ideas on a series of breaks before making their way to the coda. 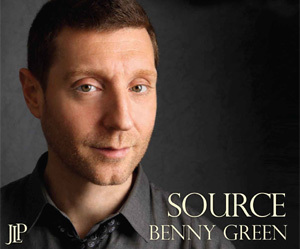 For any lover of piano trio jazz or just plain swinging music, Benny Green’s “Source” makes a splendid addition to any serious collection of the genre. As far back as the sixth century BC, some type of metal horn has been used as means of signaling a warning, warning of the advent of an important event or as a clarion call for men at arms. Dwayne Burno on bass, and Gerald Cleaver on drums, it is a call to brotherhood. Together they prove that the modern day struggle to keep a working band together (these guys have been playing regularly together since 2007) can produce extraordinary results. 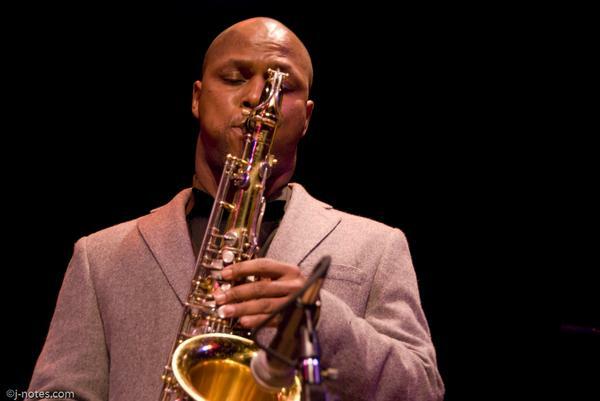 “The Talented Mr. Pelt” is a further testament to the special musical camaraderie that can be developed with patience, perseverance and the right mix of talent. Most of the music on this fine cd are Pelt originals. The stirring opener, “Pandora’s Box”, with its serpentine dual horn lead line,is a splendid tip of the hat to many of the Blue Note albums of the past with a contemporary, vital sound. The lilting waltz-like “All My Thoughts Are of You” completely transforms the mood featuring Mr. Pelt’s sublime use of the Harmon mute and employing particularly sensitive solos by Mr. Allen on tenor and Mr. Grissett on piano. A romantic interlude. It is the pianist Anthony Wonsey’s “Paradise Lost” with its repeating theme and its relentless rhythmic core that imprints itself on your brain. Propelled by Mr. Cleaver’s steadfast and at times explosive drum work and Mr. Burno’s pulsing bass line, the tune is a terrific vehicle for some fine improvisation by Mr. Grissett and Mr. Allen. “When the Time is Right” starts out with a gentle banter between Mr. Allen’s tenor and Mr. Pelt’s horn. As Mr. Cleaver plays atop his ride cymbal, Mr. Pelt shows why he is one of the premier practitioners of his horn. He effortlessly negotiates the changes with a lyrical conviction and a subtle smoothness that is the epitome of cool confidence. Mal Waldron’s “Pulse” provides another blueprint for this group to demonstrate its cohesiveness. From the opening it is clear these musicians know each other well. 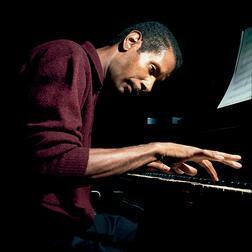 Mr. Allen plays a slow and deeply personal tenor solo that is subtly comped by Grissett, Burno and Cleaver. When it is Mr. Pelt’s turn to solo, the rhythm section seamlessly adapts to accommodate his ruminative, exploratory solo. 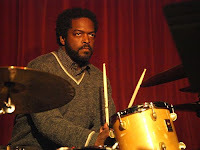 Mr. Cleaver provides powerful rolls and timely bombs on top of Mr. Grissett’s cascading keys, filling in the wide expanses left by Mr. Pelt as he builds more and more urgency into his solo. “ In Love Again”. In the tradition of great balladeers like Chet Baker, Mr. Pelt saunters through the changes of this lushly romantic song in his most expressive voice. His tone is simply beautiful. 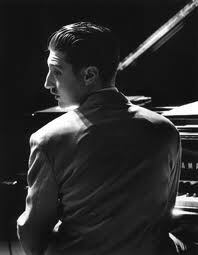 Mr. Grissett plays the perfect foil as his accompanist, eventually taking his own brief but lyrical solo. Mr. Burno’s deep bass tones are deliciously present at just the right moments. On the song “Only”, after the two-horn intro, Mr. Burno is featured on a swinging bass solo accompanied by Mr. Cleavers brushed cymbals. Mr. Pelt emerges out of the quietude of Burno’s bass solo with his clarion horn playing a swinging solo. Listen to his deft change in direction, his flawless execution and his impeccable sense of time; a master at the top of his game. “David and Goliath” is the band’s swinging finale. As the liner notes indicate, this group goes out each night and challenges themselves with this tune as a measure of their creativity and honesty. Each member is challenged to improvise simultaneously within the framework of the song without stepping on each other’s lines. This takes tremendous ears and a sharp intuitive understanding of your fellow players inclinations or it can lead to chaos, a task tantamount to David slaying the mighty Goliath. With the release of “The Talented Mr. Pelt” I think it is safe to say Goliath is nowhere to be found. Jeremy Pelt(trumpet); J.D. Allen (tenor saxophone); Danny Grissett (piano); Dwayne Burno (bass); Gerald Cleaver (drums).